The New Brunswick Lung Association is a volunteer-based, charitable organization that relies on generous donations from the public and contracts from government to fund our programs and activities. 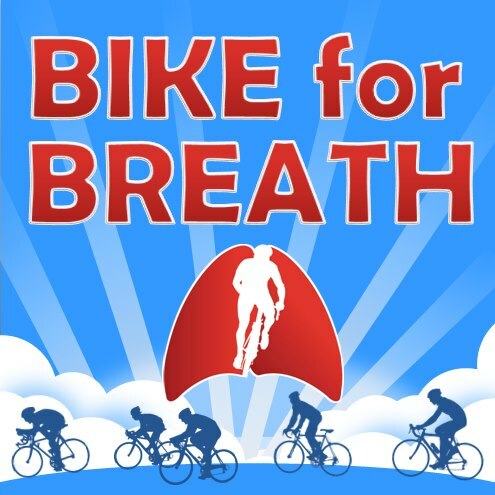 MISSION: The New Brunswick Lung Association is a charitable organization dedicated to good health through the prevention of lung disease and the promotion of wellness by advocacy, with education, and through research. The New Brunswick Lung Association is a provincial member of the Canadian Lung Association, Canada’s oldest non-profit, health charity, which has over 100 years of experience in the delivery of community health programs and in support for and coordination of respiratory health research. The New Brunswick Lung Association offers bilingual service, being located in Canada’s only officially bilingual province, and recently was delegated the responsibility for delivering Lung Association services in Nunavut. The New Brunswick Lung Association is the national lead on environmental issues for the Canadian Lung Association. The Association conducted two “first in Canada” studies- “Indoor Air Quality in First Nations Homes” and “Children’s Exposure to Diesel Exhaust from School Buses”. The Association coordinates and prepares national policy analyses and reports on environmental health issues and advocacy for tobacco use reduction. The Association participates on most national committees that determine new air quality legislation. It has a long history of working with, and being respected and trusted by, both local community groups and government agencies. In 1903 the organization was created to combat Tuberculosis which was a common and often deadly illness. Some older New Brunswickers will remember the TB diagnostic van that travelled the province, screening people for TB. When antibiotics “eradicated” (or so we thought at the time) TB then the organization broadened its mandate to combat all respiratory disease. TB has subsequently increased and remains an illness of great concern especially in northern Canada. Our symbol, the double barred cross, the Cross of Lorraine, is a symbol for a crusade- against lung disease. Fredericton has the same lung health issues that are true across the country. We all need clean air to breathe and so our air quality programs make a big difference for indoor and outdoor air quality. As well, there are many lung diseases that make life difficult for people and result in high health care costs. COPD for example results in the highest hospitalization costs of all chronic diseases. Although smoking rates are coming down, smoking still results in significant lung disease, such as cancer and COPD (Chronic Obstructive Pulmonary Disease) . NB is one of only two provinces that does not have a program in place to pay for medications to help people quit. The public can help the Lung Association by asking the government to implement a program to help people quit. Tobacco is a very hard addiction to overcome. We always strive to improve our programs relating to air quality and our patient support programs such as our Asthma Camp for children and our support program for Lung Transplant patients. We love to hear from New Brunswickers who want to share their ideas on improving lung health. The Lung Association relies on generous donations from the public and has the lowest fundraising costs of the top ten charities in Canada. Christmas Seals and other mail-based fundraiser are our main source of revenue. Our Bike for Breath is very popular. We hope to see folks for that in September. « Maritime Vinyl – Episode 3 – Podcast!